Tonight I’ll be flying to San Diego to attend the Low Carb USA conference this weekend. I’m excited to update a number of the doctors I’m typically connecting with over Twitter and email. I already have five meetings and am getting worried about my bandwidth impacting my lecture attendance. It’s gonna be busy! I have completed a fairly involved experiment a couple weeks ago which I’ll be previewing at the conference to a number of people, and for which I’ll have posted here at the blog before August 8th (as Part IV of the series) to coincide with my discussing it on Jimmy Moore’s Living La Vita Low Carb Show. Needless to say, I’m extremely excited to share the results. I really know nothing about this except everything I read says I should stay away from saturated fat. And that it effects the HDL. Anything you can share with me on this would be great. 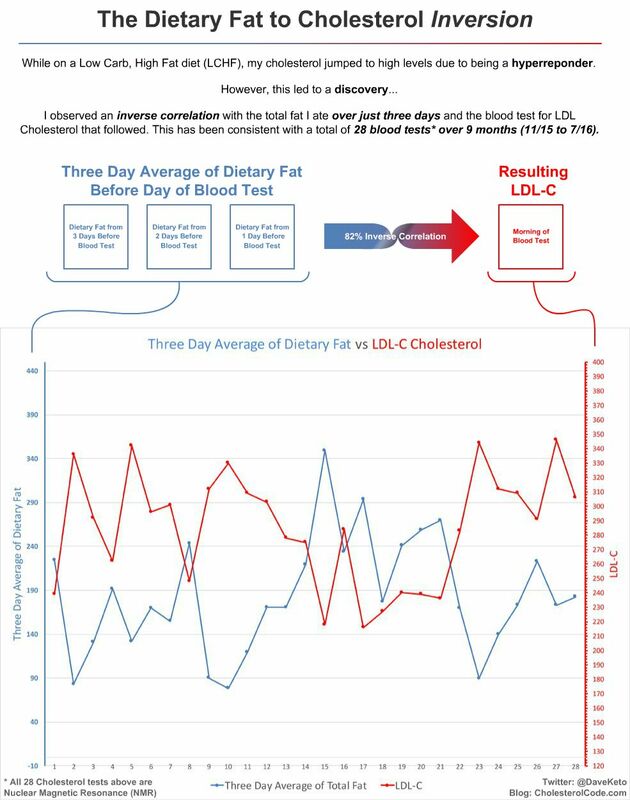 Your profile is unusual on LDL-P/small LDL-P ratio and quantity difference. This seems to be suggestive of coming from insulin resistance, which appears to be corroborated by the LP IR score of 40. Are you on a low carb, high fat diet (LCHF)? Dave, where do we find a place to interpret the data from our NMR tests?